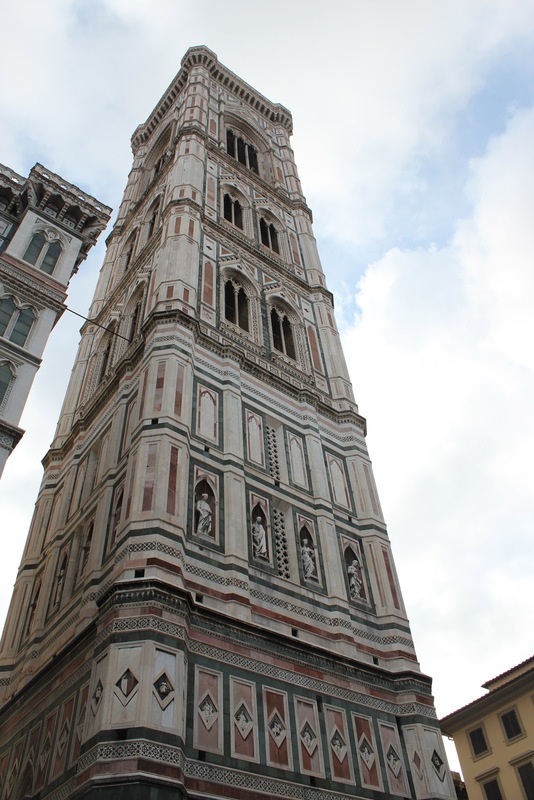 During our tour of the Accademia, we learned that the Santa Croce Church, which was just behind our hotel, houses many famous tombs, so we made a point of visiting it before we left Florence for our next destination. My family has spent a ton of time at Marconi Beach on Cape Cod, and when we were younger, my dad would always have us stop at Marconi Station on the way to the beach (my parents were good at sneaking some education into our vacations). This is where Marconi completed the first transatlantic wireless communication between the United States and England. So I immediately recognized Guglielmo Marconi and had to take a picture of this plaque to send back home. After trekking across Florence and before ascending the stairs to Piazzale Michelangelo, we stopped for a much-needed gelato at Il Gelato di Filo. I had the gianduja and Jeff had limone. Mine was rich and creamy, just as it should be, and his was citrusy and refreshing. 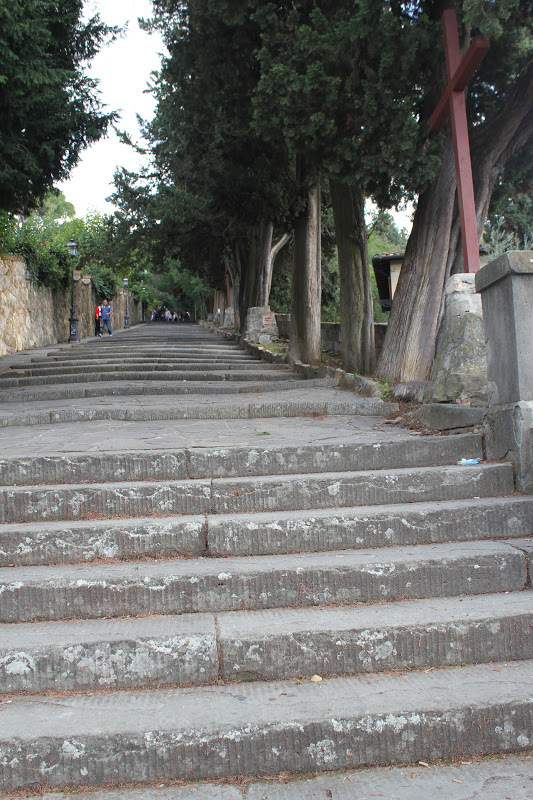 Once we finished, we were ready to tackle more stairs. On October 14 we started our day with a quick stop at the breakfast buffet in the hotel restaurant. I found a chocolate croissant and a fruit-filled pastry with a sugary crust -- not the healthiest breakfast but a very tasty one. And then we high-tailed it over to the Uffizi. The Uffizi houses a large collection of Italian paintings, including works by Leonardo da Vinci, Raphael, and Michelangelo. We didn't have a tour or a reservation, but we figured if we got in line first thing in the morning, we might be able to get in relatively quickly. And we were right. We stood outside for about half an hour before the doors opened and then stood in line another 15 minutes before we were able to buy tickets. We were in and browsing the galleries before people who reserved tickets even got in the door. The gallery has numerous rooms with different art collections grouped in each and we weaved our way through, admiring the artwork. We had a tour lined up at the Accademia and had just enough time to grab a couple of cappuccinos before meeting up with our tour guide there. The Accademia has two rooms, and the big draw is Michelangelo's David, which is in the second room. Had we known how small the Accademia is, we never would have done a tour. We learned that we are much better off exploring and doing things at our own pace than as part of a tour group. And standing in the first room, listening to all the history behind the paintings and then some for a half-hour before even entering the room with the David was enriching but also made us antsy. Supposedly being part of a tour group helps you skip the line, but you can also reserve tickets and probably get in just as quickly and do the museum at your own pace. The David is amazing and worth the stop. And the paintings and other sculptures are awe-inspiring as well. After we finished our tour at the Accademia, we walked over to the Duomo. There was a sign out front indicating that it would be opening later on, so we walked around outside for a bit, admiring it in the daylight, and then we went to find lunch. We had one place in mind that we wanted to go (The Oil Shop) but it was closed, so we went with our plan B (Trattoria Mario) and found it closed as well. We walked around and found a strip of restaurants in a row and ended up just choosing one: Trattoria Da Garibardi. We both got pizza (remember our plan was to try pizza in every city we stayed in). Jeff went with Margherita, which was definitely the better choice here. We both thought the pizza was okay but not great. It was my least favorite meal so far on the trip. At least I had a nice glass of Prosecco to wash it down. After lunch, we finally got to go inside the Duomo (Cattedrale di Santa Maria del Fiore). We didn't have to wait in line at all, entry was free, and we even got to take pictures inside. 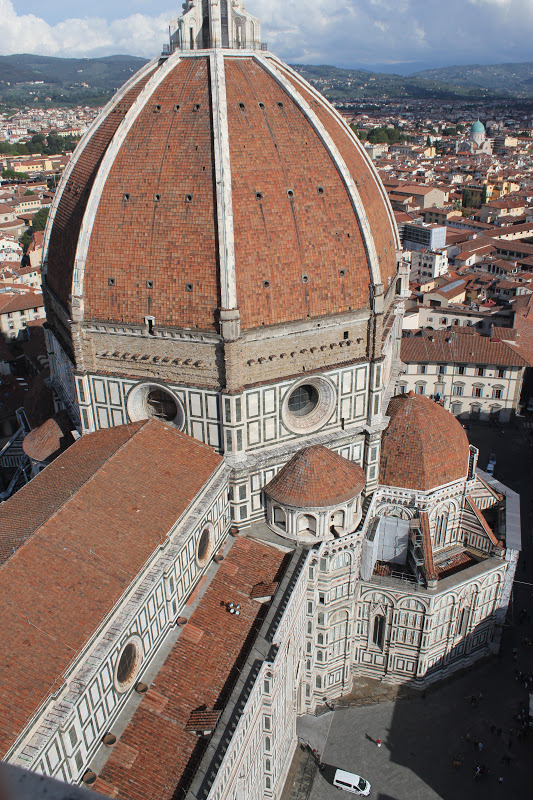 The dome, built by Filippo Brunelleschi, was the first Renaissance dome and one of the main attractions of the Duomo. We went over to the nearby bell tower (campanile) next and climbed 413 stairs and paid 6 euros each to get to the views at the top. 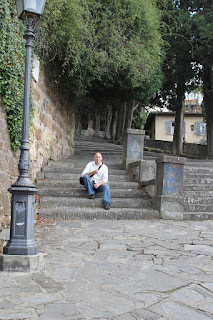 We could see Piazzale Michelangelo from up there and decided to go there next. When Vermont Butter and Cheese Creamery sent me that maple and sea salt butter, they also sent me another new product to sample: Madagascar Vanilla Crème Fraîche. I knew I needed to make something with the crème fraîche that would complement it and let it shine rather than bury its flavor. I turned to Twitter for inspiration and ended up tweeting with Mia, who is the pastry chef over at The Blue Room. She mentioned that crème fraîche can be whipped like cream, and I started thinking about pairing it that way with cinnamon rolls. I knew the cinnamon and vanilla would play well together. And then I remembered this cinnamon pull-apart bread that everyone seems to be making, and finally I had a plan. 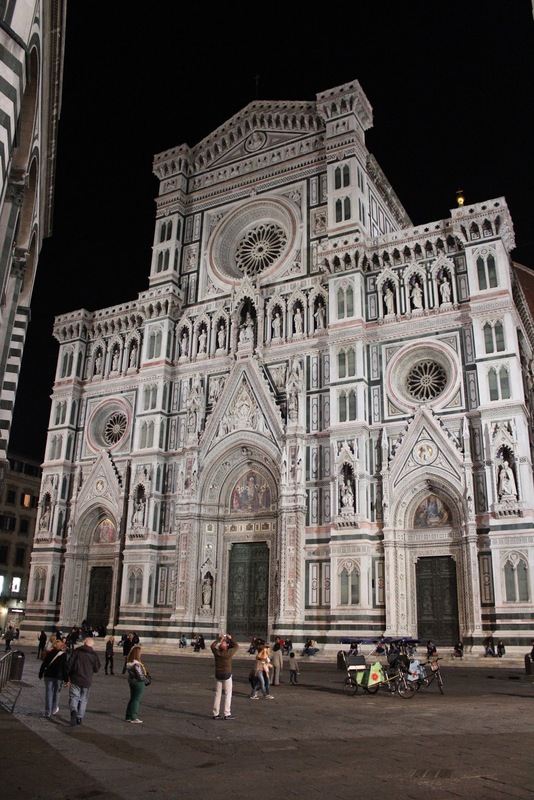 After a long day of touring and eating, we set off for our next destination: Florence. We arrived at the Plaza Hotel Lucchesi, checked in, and settled into our room, where we found a complimentary fruit platter. I sampled a few grapes, and then we ventured out onto our balcony. Our balcony overlooked the Arno River, and we found the view just stunning. 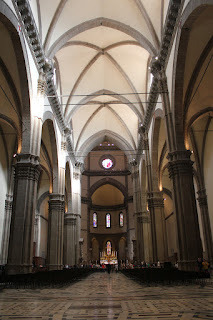 It inspired us to head out and check out Florence. We tried to get into the Uffizi just before closing but couldn't find the entrance (I think the doors had already been shut and the signs taken down), so we changed the plan and decided we would try to get in first thing the next morning. Instead, we wandered around and walked across Ponte Vecchio (old bridge), which is lined with jewelry shops. We passed the time just taking in the sights and streets in the city, and when it got late enough, we found our way to Osteria del Cinghiale Bianco. One of my friends highly recommended this restaurant, so we emailed the concierge at our hotel a few days before and asked him to make a reservation for us. The little restaurant was hopping, so the reservation was a good idea. Cinghiale bianco means white boar, and there was plenty of boar decor around the restaurant, including on the wine pitchers. We obviously had to order wine and ended up sharing the house white. We whet our appetites with a platter of thinly sliced prosciutto and tender artichokes. Then Jeff got pappardelle with wild boar ragu -- it was amazing. Pappardelle is one of my favorite pasta shapes; I love those wide, flat noodles. I thought about getting something with white truffles because I could smell them all around me, but then I noticed the maccheroni alla chitarra and changed my mind (and figured I'd get truffles elsewhere). I'd always wanted to try this shape of pasta, which is created by pressing the sheets of pasta through a set of strings (like guitar strings). The pasta was simply accompanied by tomatoes, basil, and cheese, and I loved every bite. For dessert we shared lemon sorbetto. It was so light and so creamy. Best lemon sorbetto of the whole trip... best lemon sorbetto ever. 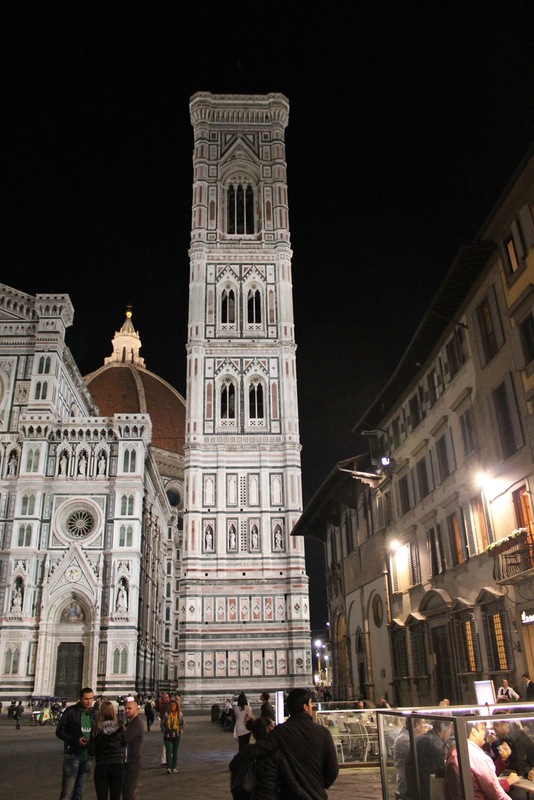 We walked off our dinner by way of the Duomo, which we planned to go back and see the next day. After our tour of the Parmigiano-Reggiano factory, we got back in our van and our driver took us to the next destination: a place where balsamic vinegar is made -- but you'll have to read about this part of the tour in my guest post over on Travel, Wine, and Dine. After we learned all about balsamic vinegar (and of course sampled it), Alessandro told us we were going to a trattoria in the hills to have a "light lunch" -- a light lunch for Italians, that is. 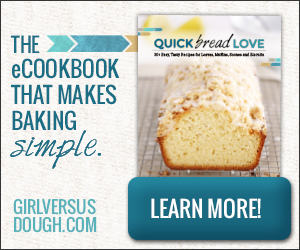 For us it would be a "food marathon," which was no exaggeration. We all gathered at one long table in the restaurant and started with a bubbly white wine. And then the pasta began to arrive. First we had ravioli with mushrooms. Then we had meat-filled tortellini. And finally potato-filled ravioli with meat sauce. All of the pastas were fresh, handmade, and incredibly delicious. While those first three courses could have been a meal on their own, the meat courses came next. We had wild boar (cinghiale) in a tomato sauce. Unfortunately, while the flavor was really good, this wild boar dish was not as tender as others we've had. The second meat course was rabbit (coniglio). This was my fourth time trying rabbit, and I really liked it, once again. I find it sweeter- and cleaner-tasting than chicken (and maybe even a little nutty, but that could be the sauce), though many people tend to say it tastes like chicken. After each dish arrived, Alessandro would say to us, "My suggestion? Parmigiano-Reggiano!" And we would all sprinkle our plates with grated Parmigiano-Reggiano. While the food was being served generously, so was the wine, and I managed to drink plenty more Lambrusco throughout the course of our lunch. In addition to the pasta courses and the main courses, there were also grilled veggies and a platter of prosciutto to nibble on. I really couldn't eat another bite by the time the prosciutto came out, but I had to try a little piece anyway. Whenever anyone was looking away, Alessandro would pile more food on their plate. If they caught him in the act, he'd say, "It's just sauce. Just a little sauce." When we finished eating, Alessandro got the chef to come out. We all thanked her for the awesome meal she prepared. And then we had these amazing frothy, cool, creamy coffee drinks with rum. I wish I knew how to re-create these. And it wasn't over yet... we really ended the meal with espresso. Jeff had a machiatto (espresso spotted with cream), and I went for a straight-up espresso. We were so full and happy by the end of lunch. This concluded our food tour with Italian Days, and we headed back out to our van for the ride back to our hotel in Bologna. Besides on Saturdays (which is when we went), the tour also goes to a prosciutto factory. We were bummed to have missed this, especially since we didn't know until we were in the midst of the tour that we wouldn't be going. We have already talked about going back to do that someday. I can't recommend this tour highly enough. Alessandro was an amazing tour guide. He made the tour fun and interesting and was really animated the whole time. We learned so much about Parmigiano-Reggiano and Aceto Balsamico Tradizionale di Modena, and we ate so much good food and drank so much good wine. This was both my and Jeff's favorite part of the whole trip! Have you ever done a food tour?